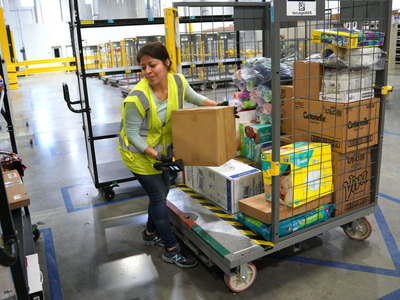 Getty/Rick T. WilkingMany of Amazon’s fulfillment-center employees are getting a raise. Amazon announced on Tuesday it would be increasing its pay to $US15 an hour for all US employees. As part of the overhaul, fulfillment-center workers’ pay will no longer be tied to incentives targets. Some employees have criticised the targets as unfair, with some adding that the targets cause intense pressure to meet goals. A company spokesperson confirmed to Business Insider on Tuesday that fulfillment-center employees will still have metrics to meet, but they will no longer be tied to pay. 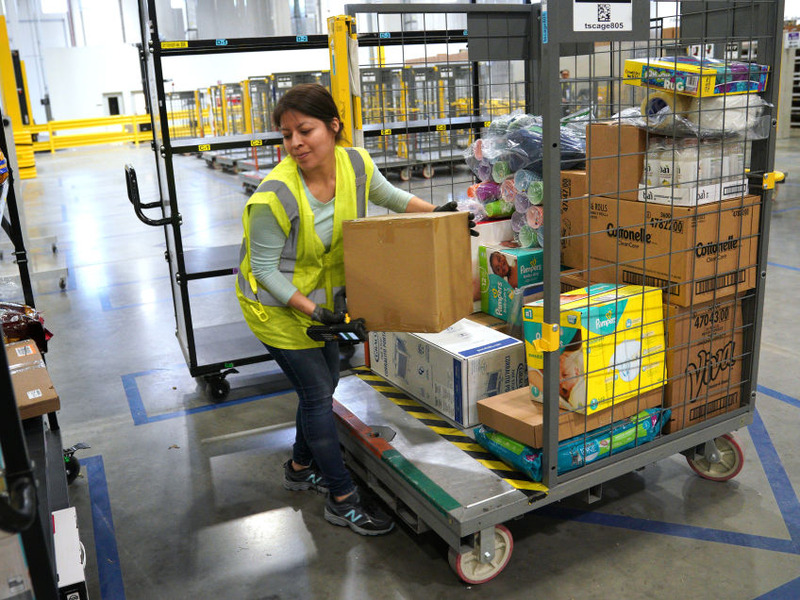 Amazon warehouse workers are getting a raise, but that’s not all. The e-commerce giant is not only raising wages to at $US15 an hour for all US workers, it’s also getting rid of a practice that many employees hated. As part of the wage overhaul, Amazon says it is also phasing out pay incentives for fulfillment-center workers, eliminating the chance to earn bonuses and stock awards if certain goals are met. “We are phasing out the incentive pay component and the $US15 will be a simple minimum with no targets required,” Amazon wrote in a blog post announcing the change. The incentives have been criticised by employees as too strict, Business Insider’s Shona Gosh reported earlier this year. Former employees said they would sometimes find human waste in trash cans because workers felt they could not take the time to go to the bathroom. Employees said that Amazon’s focus on efficiency made them feel like “robots” that were only expected to do one thing, and to do it quickly. “The metrics are brutally aggressive, and most of my colleagues are in a state of constant anxiety that we could be fired at any moment for not meeting metrics,” one current US employee told Business Insider. Amazon said in a response to the report that it provides adequate breaks to employees and never timed employees’ bathroom trips. A company spokesperson confirmed to Business Insider on Tuesday that fulfillment-center employees will still have metrics to meet, but they will no longer be tied to pay. The end result should be higher and more predictable pay for workers. Removing the system’s ties to wages could prove that Amazon is getting more sensitive to the criticism it is getting and wants to make a change.